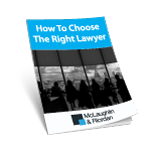 McLaughlin & Riordan have been providing specialised legal services for over 20 years. Based in the Sydney CBD, we represent clients from all over Sydney, NSW, interstate and overseas. McLaughlin & Riordan are experienced in a wide range of areas so that we are able to provide our clients with advice and representation that meets all of their legal needs. What makes us different to many other law firms is the capability of our people and the approach to the work we undertake. Each lawyer at our firm has more than 15 years experience. Our clients have the benefit of dealing directly with their own solicitor and are confident in the knowledge that we work closely with them throughout their matter to ensure that the best possible outcome is achieved. We are committed to providing affordable legal services. We take into account the nature and strength of our client's case and any financial hardship our client is experiencing. We deliver a quality service that is personal and professional. We understand our client's objectives and are dedicated to achieving them. Bob is the founding partner of McLaughlin & Riordan. 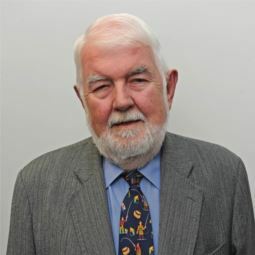 Admitted in 1975, Bob has been providing legal services to his many and varied clients for nearly 40 years. 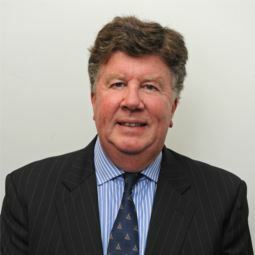 Bob's longstanding experience and reliable good judgement on all legal issues underpins the firm's reputation as a "one stop shop" for our clients' legal requirements. Bob assists his clients in a personable, approachable way. Most recently, Bob and Mark Farrell have been working hard to achieve recognition of and compensation for their HIP clients, who have formed the Home Insulation Installers Action Group. Where other legal advisers appear to have "given up" the fight, Bob and Mark have continued to work towards securing proper compensation for their clients, many of whom have lost their businesses. Admitted in 1981, Mark's clients benefit from his legal knowledge and expertise of over 30 years. Genuine and compassionate, Mark has a well-earned reputation for sound judgement, reliability and professionalism. Most recently, Mark has been working hard with Bob McLaughlin to achieve recognition of and compensation for their HIP clients, who have formed the Home Insulation Installers Action Group. 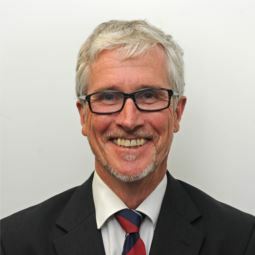 Mark participated in and attended the Royal Commission into the Home Insulation Program throughout its entire hearing period from 17 March to 19 May 2014 and managed the preparation of Submissions to the Royal Commission regarding the suggested Findings and Recommendations. Following the release of the Commission's Report at the beginning of September 2014, Mark continues to work towards securing fair and reasonable compensation for McLaughlin & Riordan's clients, many of whom have lost their businesses. Admitted in 1986, Bernard has been accredited by the Law Society of NSW as a specialist in personal injury law for over 20 years and has been providing legal services to the people of NSW for more than 30 years. Bernard is experienced in a wide range of jurisdictions in NSW including the Local, District and Supreme Courts. Dust diseases claims are conducted in the Dust Diseases Tribunal where Bernard is well known. Bernard's clients benefit from his compassionate and dedicated approach and his ability to formulate a sound strategy to achieve the desired outcome. Bernard's comprehensive preparation means that he is a solid and respected negotiator when it comes to attempting to settle a client's claim on best possible terms. Bernard is also a formidable litigator with a record of success at the Supreme Court of Appeal level. His clients are assured that they have superior legal expertise, understanding and support all the way. Natalie was admitted to practise in 1997 and has spent over 17 years specialising in medical negligence litigation. 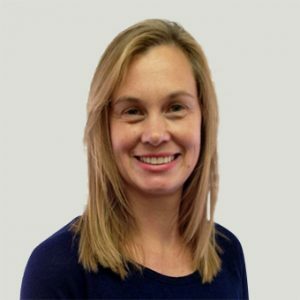 Initially she commenced working as a solicitor with Charlton Shearman Read Solicitors, before working as an Associate with Maurice Blackburn Lawyers, and thereafter, at McLaughlin & Riordan Solicitors. In 2014, Natalie commenced her own business working as a sole practitioner representing the rights of injured plaintiffs. In 2016 she represented the family in the Coronial Inquest into the death of Kyran Day, who died after being misdiagnosed with gastroenteritis at Shoalhaven Hospital. Natalie has rejoined McLaughlin & Riordan in July 2016, assisting with the firm's HIP class action litigation. Natalie brings to the firm an understanding of the management of complex legal claims, professionalism and a genuine ability to empathise with others and communicate clearly and effectively.